What is Financial Planning? Its a little stupid definition, but its just planning you finances. You plan your Investments in such a way which meets your financial goals over time. You must be very disciplined when you do this, you must know from where you the money is going to come to you and how are you going to save or invest it, and in future how are you going to achieve your goals. Prepare a list of financial goals. It can be any requirement like Buying Home, Car, Child Education, Child Marriage, Vacation, Retirement etc. Along with this there must be a very clear timeline associated with the Goal. Something like “I want to buy a Car after 3 years, which will cost 10 Lacs at that time”. 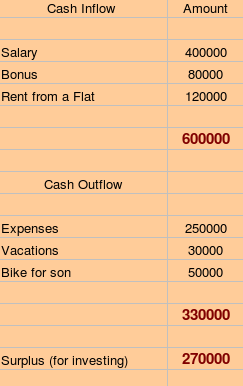 Prepare the list of your cash flows, cash flow means, how money is coming and going? Any money coming in is Cash inflow and Any Expenses is Cash outflow. It it help you understand how money is coming to you and how is is utilized and how much is remaining for investing purpose. By Doing this , you can get very clear of how you are going to get money and how you are going to spend it, and how much you are left with to spend. This is a very important part of financial Planning, Risk appetite is the amount of risk a person can take while investing. How much money you can afford to loose in order to earn high returns defines your risk taking ability. If not at all ready to loose your money even 1% , you are not at all a risk taker. It depends on you which category you belong in. it depends on individuals Psychology, Family Conditions, Attitude etc. Generally people in there early age have more risk appetite as they have less responsibilities and more freedom to invest. Later when they get married and have responsibilities, they cant risk money to loose. At this point, you must be clear with your goals. Financial goals are the list of things for which you need money and you must have a predefined target time. Ajay earns Rs 3,00,000 per year with Rs 1,00,000 left for investment, he has moderate risk appetite. 1. Buy a Car within 2 years worth 5 lacs. 2. Vacations in New Zealand worth 8 Lacs within 4 yrs. 3. Buy home worth 40 lacs in 10 years. Here, Goals are not compatible with amount invested per year and with that kind of risk-appetite. Therefore, Goals must be realistic and achievable, it must not look totally irrelevant. At this point you must make sure that your goals do not look unrealistic and unachievable. If they do, then you must either lower your goals or increase risk appetite or increase the investible amount per year. This gist of the matter is, Be Realistic !!! Once you are done with all these steps, Its the time for the planning. For each goal you must devise a systematic investment plan, by choosing the correct investment instrument. For example: For your child Education make sure you invest in something which is not very risky for the time period you are going to invest in that. You can invest in equities for that, as Equities are not risky in very long term and generate great return. But for a short term goal like vacation in 1-2 yrs, don’t invest in equities, rather go for a debt fund or a fixed deposit. In this way, you have to be clear how you are going to invest for achieving your goals. Revise your steps and make sure everything is correct. If you are unclear about anything meet some one who is more knowledgeable than you, See a financial planner or a knowledgeable friend. The last step is to take Action and start executing the plan with discipline and make sure you change you goals, risk appetite as time passes and these things change over time. I find Manish has put in very simple english to understand really impressed. i have been trying to find out which is the best institute to get CFP certification, becasue ICICI direct is very costly. Both Theory and practical experience are import to start on own. Any suggesttions ?? please share.. Though its look simple to do it after reading above poitns, I think only few people can successfully implement and complete financial planning for themselves without help from a CFP. But majority need help of a CFP for financial planning. A very nice and informative article presented in a simple way. Keep up the nice work buddy. it's great to look at 8 steps! it seems these are for the youngsters. how about the people who have crossed 50 and left with only 8 to 10 years of service. I would say that these people are late , but the only option they have is to live with the situation , because they should not try to take more than required risk and loose all they have . Your article “Why you need a financial planner” is indeed an eye opener. I am the victim of not having one. Definitely i will opt one for the next fiscal. I need to invest 60k this year under 80C. Already burnt my hands with ULIP. Can you suggest some other investment options other than PPF? my risk-appetite is low. You can look at ELSS in that case . Being a compulsive investor i explore financial market only for the sake of tax saving. But I feel one should take a greater care even for tax saving investments and opt an experts advice. As the saying a rupee saved is a rupee earned. Do not invest just for tax saving .. How much charges do you expect from a planner for your situation ? Absolutely I have no idea about the fee of a Financial Planner. I may sound funny to you if i reveal the numer in my mind because i have no clue about this fee. But I feel a percentage on the invested sum would be reasonable. First you have to understand the importance of planner .. He is not an agent who just facilitates you in transactions ,also he is not a advisor who will just recommend you products ..
FP is actually an architect of your financial life .. he shapes your financial life and molds it to be fit keeping in mind your financial goals of future.. note that he is a long term thing , and not a short term jugaad ! . Coming to fee , fee is a barrier most of the times when people want to hire a financial planner and that happens when they are not too much committed towards their own financial life .. They concertrate more on what they do not get from a planner than what they get from it .. Imagine a number which you might want to pay someone , who can make sure your children education , marriage , your retirement and your other financial goals are planned properly and the chances of you reaching to these goals increases substantially.. in a way it can change your entire life , as financial life is the epicentre ! and that has connections to other areas ! 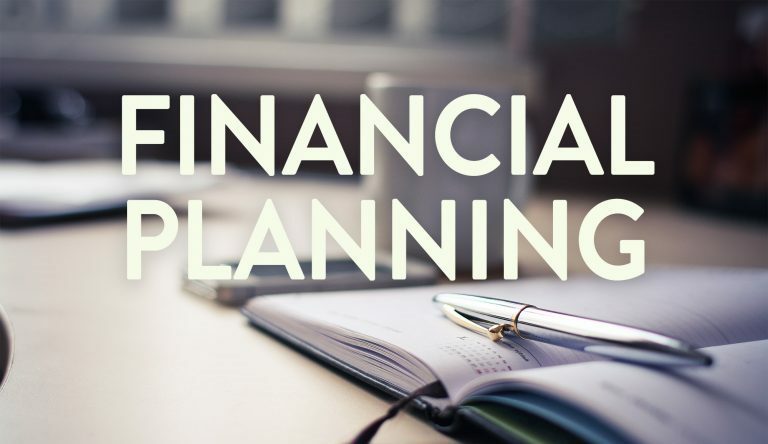 Note that I am talking about people who are really rare and can actually coach you in your financial life , not traditional planners who take your data and spit out a lengthy plan in PDF format and insist you to implement it through them , they are not the planners they are just sellers with a different face . I am still looking for a number from your side ..
For tax saving investors 2 – 3k would be fine for 1 fiscal. Again it depends on how much you invest, hence I suggested percentage would be fairer. A compulsive investor just need to invest only 30k under 80C then he might think 2-3k would be very high then he starts calculating his returns minus the fees. Manish, this is purely my opinion and dont mistake me. Yes i got your point , but you are looking totally differently , you are talking about tax-planing , I am talking about full financial planning , it costs anywhere around 10k to 25k , depending on the planner you are hiring . While value, affordability, risk exposure, and risk tolerance should affect insurance purchase decisions, insurance is often sold and purchased emotionally. Yet, insurance premium payments reduce personal funds that might otherwise be available for additional investments. Thanks for the appreciation . You are very correct when you say that taking action is the toughest part . I am writing an article on that topic , watch out . Your Financial Planning tips are realistic, easy to follow and understand. However, I really found it challenging to do number 8. Do not get me wrong please, I know how to budget and plan my goals. So far the only thing that I can properly execute every month is to deposit cash in my savings account. The rest is just words written on paper. But I will continue trying until I achieved a sound financial health.